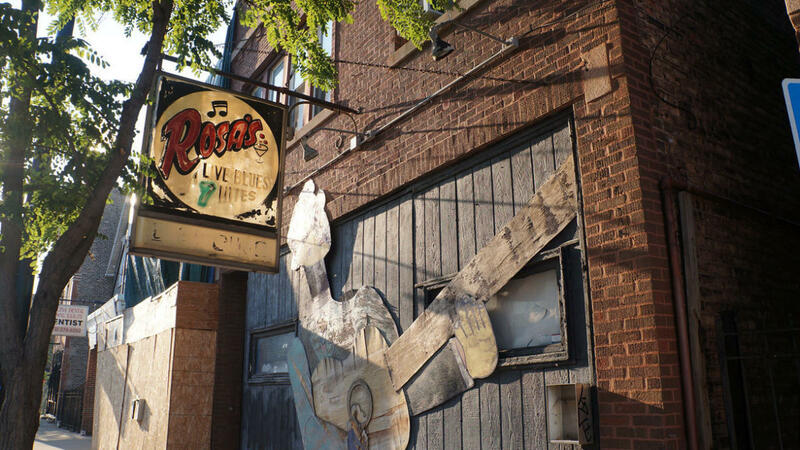 Rosa's Lounge operates in the hallowed tradition of Chicago blues lounges, family owned and operated by an Italian immigrant who came to Chicago in 1978 after meeting Jr. Wells in Milan. Tony found the true spirit of the blues at south side lounges like the legendary Theresa's, and he opened Rosa's (1984) as a tribute to those cradles of blues tradition, and named it after his mother, Rosa, who had followed him here to help. Rosa's family of blues performers ranges the entire spectrum of styles; from traditional legends like David Honeyboy Edwards, Homesick James and Pinetop Perkins to Chicago modernists like Billy Branch, Melvin Taylor and Sugar Blue, and attract second-generation sons of the blues like Eddie Taylor Jr. and Lurrie Bell. This is a blues haven that feels like home to both the novice and the seasoned blues fan, "Chicago's Friendliest Blues Lounge", and Rosa's was named "Chicago's best blues club" by the New York Times and " ...a blues mecca for true believers" by Rolling Stone.